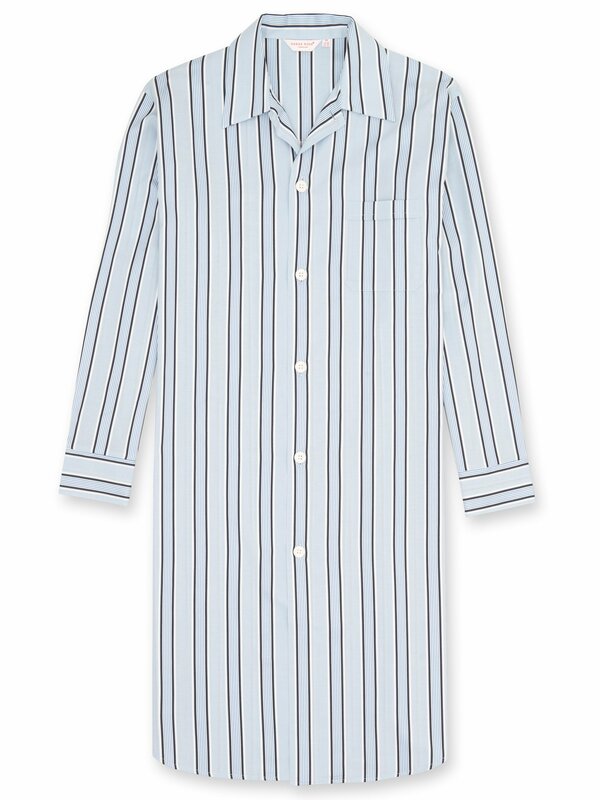 A nightshirt boasting a confident stripe and fresh blue tone, the Mayfair features a soft pure cotton in medium weight, finished with a satin stripe, to make a garment that is ideally suited to the warmer or transitional seasons. 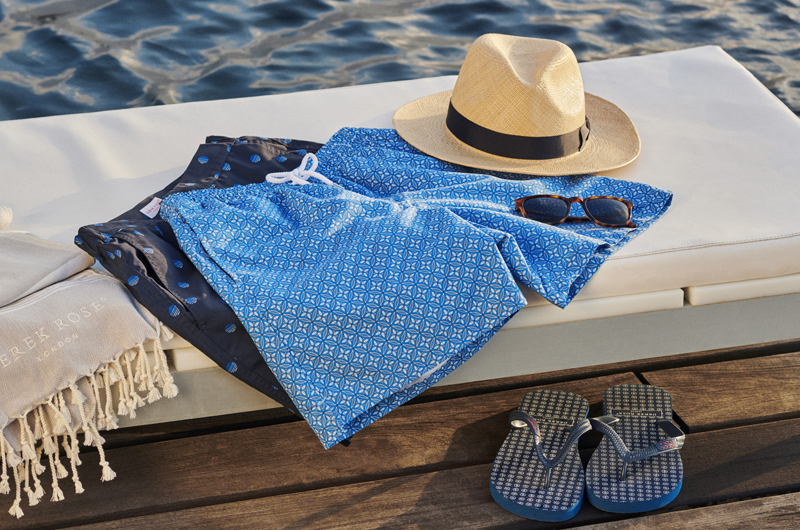 One of the classic garments of the company, our nightshirt features a generous cut, for maximum comfort and freedom of movement. This button-through model has a classic Derek Rose collar and single breast pocket. The model in the photo is 6'1" / 186cm tall with waist size 32 and chest size 39. He wears a size M.